Leading education advocates this week urged the protection of young consumers from unscrupulous practices by the credit card industry with the passage of the bipartisan Credit Card Accountability, Responsibility and Disclosure Act. Congress voted in favor of the bill this week. President Obama plans to sign it into law on Memorial Day. On a May 18, teleconference with reporters hosted by Americans United for Change, representatives of various student and consumer advocacy groups argued it’s time to curb aggressive marketing by credit card companies that specifically target young people, especially students on college campuses. In addition, the “Credit Card Act” would clamp down on banks that gouge consumers with high fees, hike interest rates on purchases already made and other abusive tactics that only drive Americans of all ages further into debt. “Now more than ever so many people rely on credit,” said Tom McMahon, acting executive director with Americans United for Change. Lindstrom added that students are applying for credit on campuses to pay for their textbooks, tuition and other living expenses. “These credit card companies are aggressively targeting young people and students need to be educated about what’s really going on,” said Lindstrom. The credit industry on college campuses offers free stuff now with huge debt later, she said. Free T-shirts, iPods and other electronics are being offered when students sign up for a credit card. 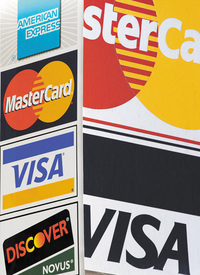 “What we need is responsible credit card marketing,” said Lindstrom. Pedro de la Torre, advocacy senior associate with Campus Project and the Center for American Progress, said the Credit Card Act could go a long way to protect young people and all potential credit card consumers. Carmen Berkley, president of the United States Student Association, said given the current state of the U.S. economy students can’t expect to keep up with thousands of dollars of unnecessary credit card debt. “Families are struggling right now and students want to stay in school,” said Berkley. Young people should not have to be pressed with the burden of driving their families further into debt, she said. Berkley said she was a victim of taking out a credit card on her college campus. What young people really need is Congress to continue allocating more federal funding toward financial aid and Pell Grants, said Berkley. “Students need to be mindful that credit card companies are not really there to help, they just want to make a profit,” added Berkley. “And students should not be enticed by free gifts.” Ultimately we want to make sure that young people graduate with good credit, she said. The Credit Card Act is expected to tighten the rules so that credit companies and big banks, some of which received taxpayers’ money as part of the federal bailout, treat consumers fairly with protections. Once the bill becomes law, credit card companies would have to take several steps, including posting their credit rules on the Internet and giving cardholders a written statement explaining pending interest-rate hikes 45 days in advance. Under the House version, credit card companies would not be able to increase interest rates on existing balances except in limited circumstances, such as the expiration of a promotional rate or failure by a customer to make a payment within 30 days of the due date. The bill includes other restrictions on credit card practices, including a ban on charging interest on balances that already had been paid and a prohibition on issuing cards to children. “The bottom line is that credit card companies need to act responsibly and we need to clean up the campus financial market,” said Lindstrom. “Such policies will have an impact on all credit card consumers and a lot less debt will go a long way. This bill makes that process better and more fair,” she said.